Have you ever bought something having no idea how or even when you will use it? Of course you have. I do it all the time, too. Luckily my purchases tend to be on the smaller side – sometimes quite small actually, in the form of spices or seeds. Thank goodness for the bulk food barn. You can give things a test drive at minimal financial cost. About two weeks ago I went in for something (I can’t remember what now) and came out with what I "needed," as well as several small bags of herbs and spices just for fun. I don’t seem to be able to resist them. It’s worse when I go to ethnic groceries. Don’t leave me alone. You never know what I’ll come out with. The last really “odd” purchase I made was a bag of dried limes. It turns out they are a staple in much Middle Eastern cuisine, after you pulverize them. You can also throw a whole one in with rice as it cooks for an extraordinary flavour. But I digress. The weird one that made it to the checkout with me on the day in question was fenugreek. I had heard of it but had never bought it alone. It was right alongside something else I felt I needed (fennel seed for sausages, I believe). Coincidentally, fenugreek is an annual in the family Fabaceae (the peas). I wrote about several in yesterday’s post. Like other members, the plant has the distinctive pea flowers, small round leaves and forms seed pods. It is cultivated worldwide and is a common ingredient in dishes from Africa, the Middle East and India. It is in many curry blends. So you may not have bought it separately, but you’ve eaten it. Fenugreek has a very distinctive smell and taste, right up there with cumin in my mind. You can also use several parts of the plant: the dried seeds, fresh or dried leaves, and even as a micro vegetable (sprouts). 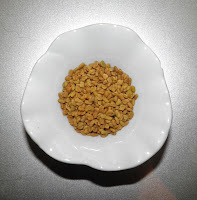 Fenugreek has a “semisweet” aroma. It’s hard to describe. Think of being in a very good Indian restaurant. That’s as close as I can come. Be forewarned, I have read that a little fenugreek goes a long way. The seeds are often toasted slightly to help activate the aromatic oils. If you’ve ever made your own curry blends you probably have toasted seeds yourself. Your best friend, on the barbecue or in the kitchen. Buy yourself an instant-read thermometer. We’ve been using the barbecue a fair bit lately and I had some chicken in the freezer. So I thought rather than a barbecue sauce it might be nice to mix it up a little with some exotic flair. This rub didn’t disappoint. Even before the chicken hit the grill the kitchen was filled with the most delicious Indian spice smell. Four may seem like a lot of dried chillies, but the mix wasn’t very hot at all actually. If you want, feel free to adjust either up or down. It all depends how hot your dried chillies are, and how hot you want the rub. 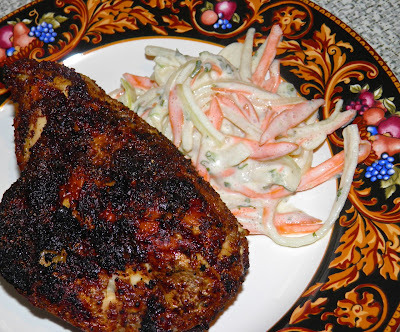 I made an unbelievably simple side dish for with the chicken that helps cut spiciness. 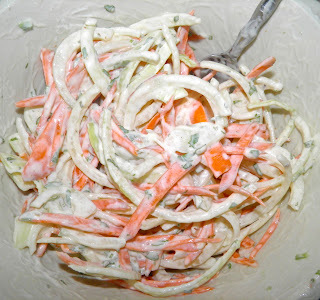 Raita is highly undervalued as a “salad” in North America in my opinion. Onion, carrot, hot pepper, yogurt and mint make a perfect foil for any hot dish. Even people who don’t like a lot of onion will love this. 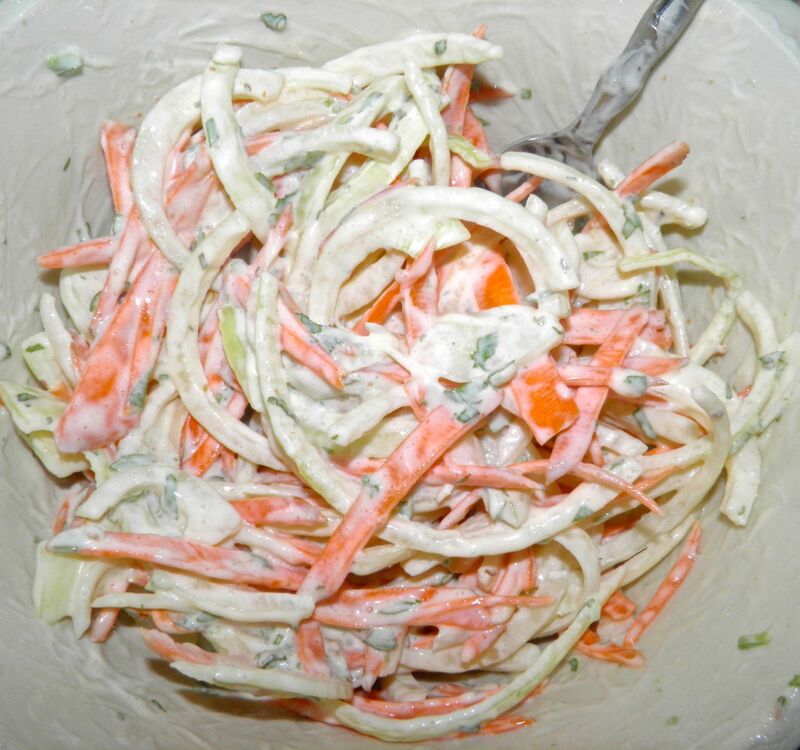 I’ve given the recipe for the raita, as well the times and temperature I used to cook the chicken on the barbecue. 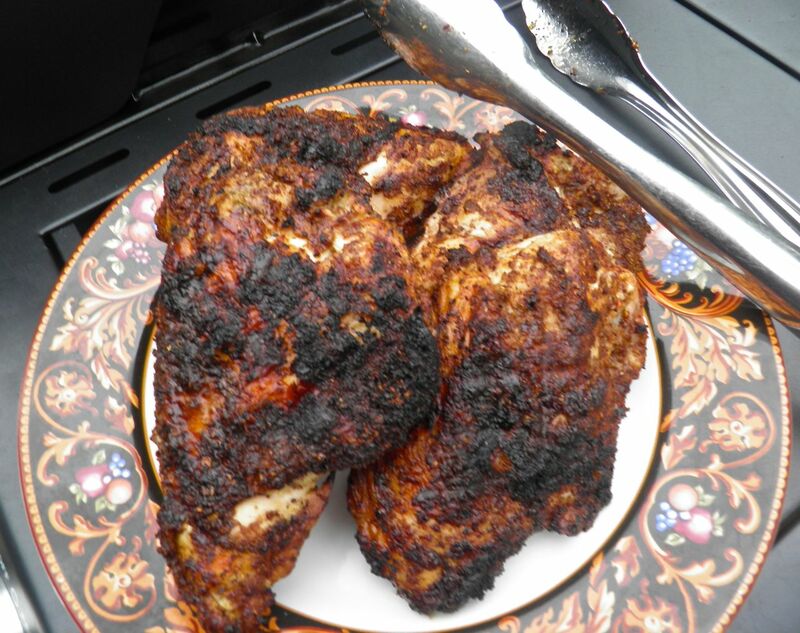 No sense going to the expense of buying chicken breasts only to burn them! 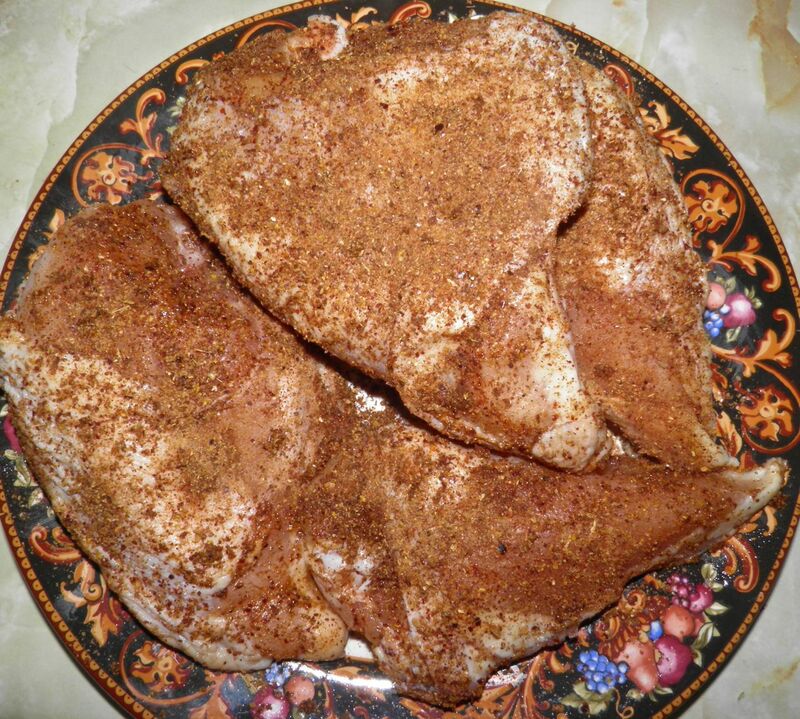 Let the rub flavour the chicken for at least 1 hour. 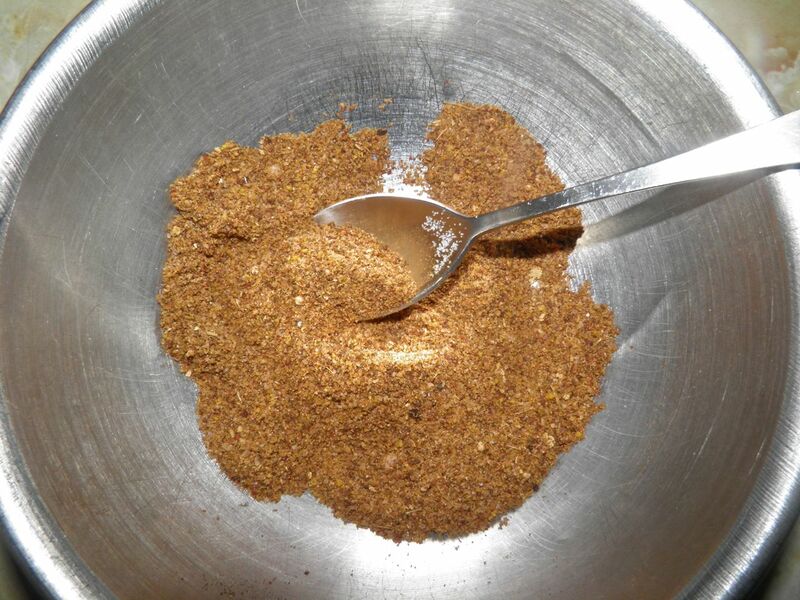 Combine all the whole spices in a grinder and grind until powdery. I use a coffee grinder especially set aside for spices. Minimal cost, maximum results, quickly. Rub the spice mix onto all the surface of the chicken. Then cover and let rest on the counter for 1 hour, or refrigerate for 4-8 hours. Heat your barbecue to about 325°F. Place the chicken pieces directly over the flame, bone side down and let cook for about 10 minutes. Then turn and do the skin side. Check periodically to ensure it’s not burning. Chicken fat tends to flare up. 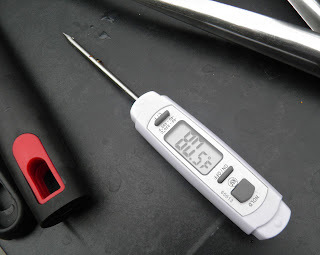 After 20 minutes, start checking the internal temperature of the thickest part of the chicken. It should read almost 180°F. It will continue to cook to proper temperature after you remove it. You can also broil the chicken in the oven, to the same internal temperature. Cover and let sit at room temperature for 1 hour. This allows the acid in the yogurt to mellow and soften the onion.